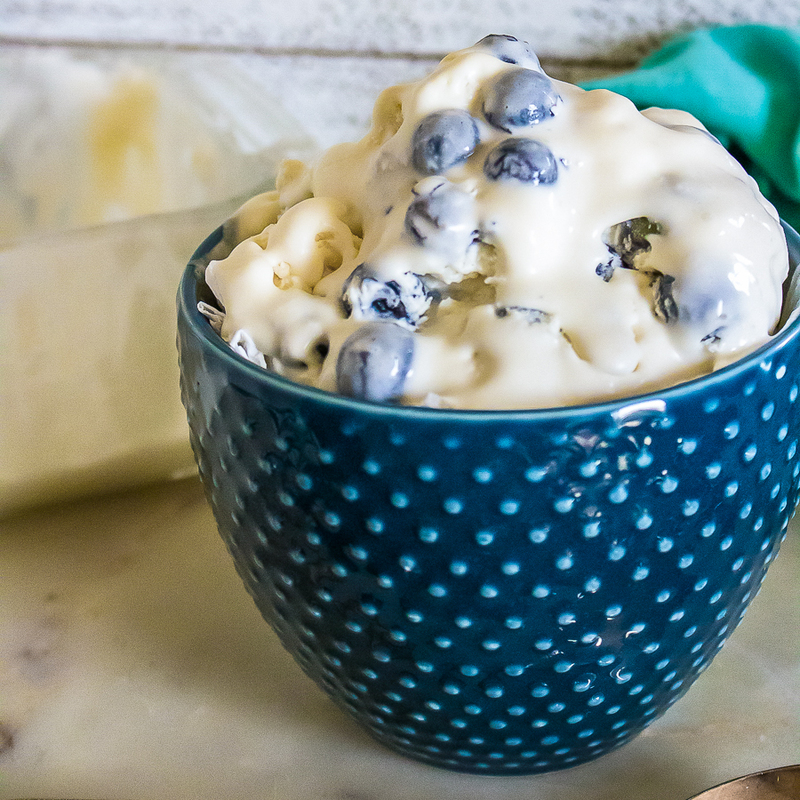 Delicious homemade lemon ice cream with blueberries makes for a refreshing summertime sweet treat! With a mixer, beat heavy whipping cream until thick. Pour in sweetened condensed milk and extracts and fold in until smooth. Next, pour half the ice cream into a freezer safe container. Top with half of the blueberries. Repeat with another layer and top with the remaining blueberries and slices of lemon. Freeze for 5-6 hours or overnight. When it is time to serve, remove from freezer and let sit on the counter to soften for 2-3 minutes before serving.